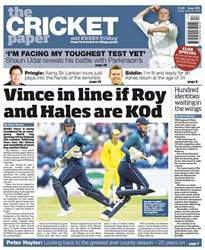 (0 Customer Reviews) | Write Review 51 issues per year The Cricket Paper, is the UK's only weekly cricket newspaper, bringing you exclusive stories, reports and features on your device. 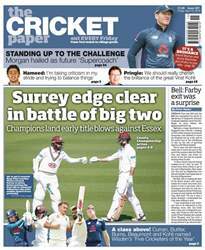 Published in exceptional clarity every Sunday, The Cricket Paper covers cricket from the national teams, the County Championships and Twenty-20 Cricket down to its club roots. Looking for The Cricket Paper in print? 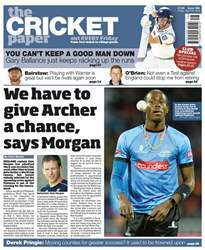 Unfortunately pocketmags.com does not sell print copies of The Cricket Paper, but all is not lost. Our partner at magazine.co.uk sells print subscriptions at the best prices online. 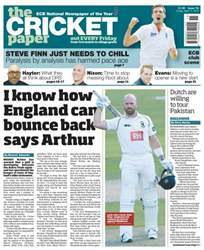 The Cricket Paper, is the UK's only weekly cricket newspaper, bringing you exclusive stories, reports and features on your device. Published in exceptional clarity every Sunday, The Cricket Paper covers cricket from the national teams, the County Championships and Twenty-20 Cricket down to its club roots. You'll receive 51 issues during a 1 year The Cricket Paper magazine subscription. You'll receive 51 issues during a 1 year The Cricket Paper magazine print subscription.